Systematic method of working with a child to help him climb the developmental ladder, 6 social and emotional developmental milestones. Can be implemented both as a procedure and as a philosophy throughout a child’s daily schedule. Play is centered around the child’s interest, yet challenges him to promote mastery of developmental milestones. Individual Sensory differences are identified so that all interactions with the child are tailored to his sensory profile & needs. Children learn the pleasures of engaging with others, taking initiative, making wishes and needs known and having long dialogues. 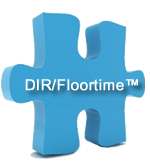 Home based Floortime program is cost effective and less expensive than many other treatments. Provides children with special needs tremendous amount of practice in linking their desires or emotions to their behavior and words. Floortime is an evidence-based practice. In 2011, two new randomized-controlled studies showed statistically significant improvement in children with autism who used Floortime versus a mix of behavioral approaches. Children with identified delays in their social and emotional development often have incomplete development with one or more of these milestones. Children with special needs have a variety of biological challenges that affect their ability to function in the world. Although there are many ways to describe these individual differences, for the purpose of considering how they influence development it is useful to divide them into three types. Difficulty with sensory reactivity: The child may have difficulty with modulating information received from the world through his senses of vision, hearing, touch, smell, taste, and body awareness (i.e., the child may be under- or overreactive, or a combination). Difficulty with Processing: The child may have difficulty making sense of the sensory data he receives. For example, a child’s hearing may be keen but he may not be able to distinguish sounds in the foreground from sounds in the background. Difficulty with motor planning and sequencing: The child may have trouble making desired bodily movements, and planning and executing responses to his environment. information he has taken in. For example, a child may be interested in cars but may only be able to put them in a line rather. Ideally a child will play out a purposeful sequence where the cars drive along the road and park at the store. Each of these challenges makes it difficult for the child to relate to and communicate with his parents and caregivers and thus impedes his ability to learn, to respond, and to grow. Therefore, to help a child progress, one must understand how he functions in each of these areas. Once specific challenges have been pinpointed, treatment programs can be designed to ameliorate them. With this understanding parents and caregivers can learn how to work around these challenges to help the child discover his or her unique interests and strengths, and also learn, relate, and grow. This is a comprehensive framework for understand and treating children with delays in their development. The focus is on not addressing a child’s symptoms but to helping children master all elements of relating, communicating and thinking. “D” is for Developmental. Six developmental milestones are the building blocks that every child must master as a foundation for healthy emotional and intellectual growth. “I” is for individual difference. Every child has a unique way of absorbing and responding to various sights, sounds, touch. 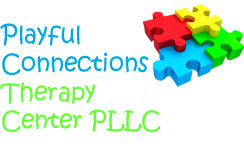 Difficulties in processing and/or responding to such sensory information can interfere with a child’s ability to relate, communicate and think. “R” is relationship based. Healthy relationships with caregivers is a critical element in helping a child stay on a healthy developmental path. Parents who are supportive of a child’s current development must stay in tune with the child’s individual differences, and tailor their interactions accordingly.